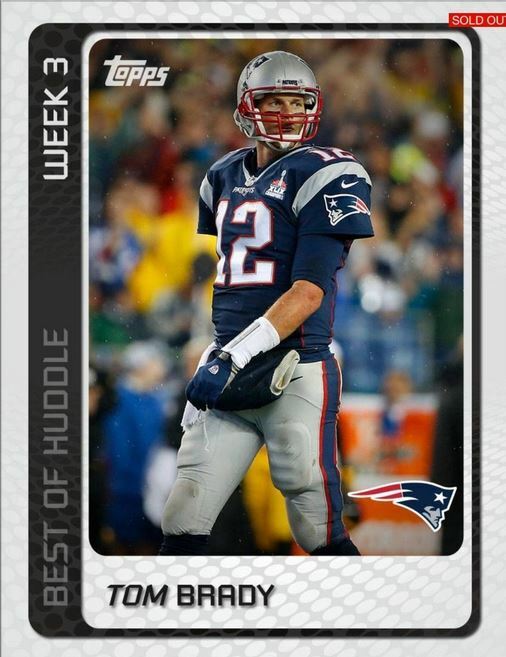 When I heard that Huddle would be fully licensed by the NFL and NFLPA instead of just the NFLPA, I almost lost it. I knew how much things were going to change for the better, especially now that pictures no longer had to be edited or head shot focused. Here is a look at the progression from last year to this year. I actually thought that the 2015 base design was great. 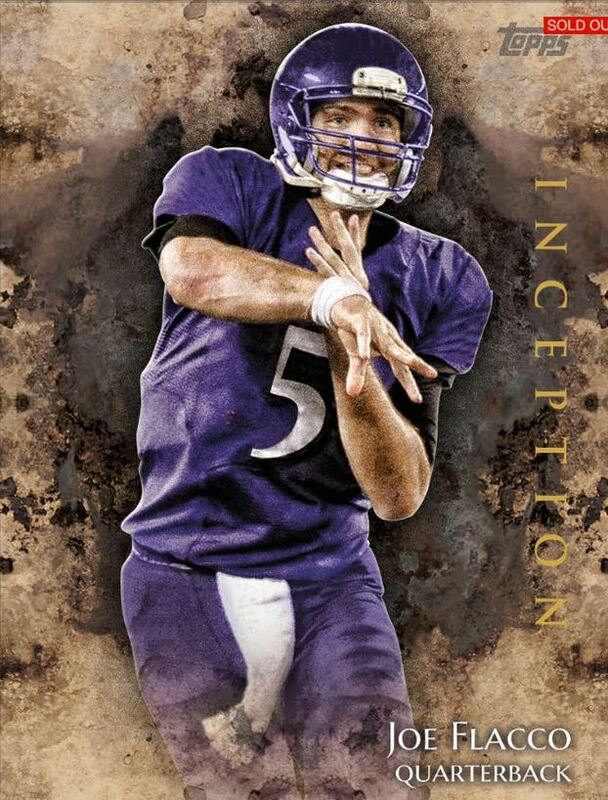 Of course, with airbrushed action shots, it was nicer than the headshots on a gray background, which were really tough to stomach for the whole season. 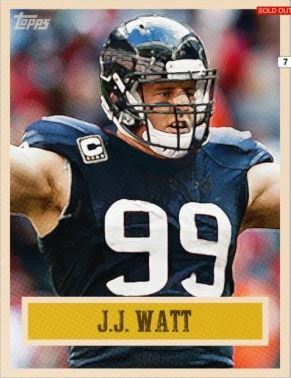 Even though the 2015 design was great, the 2016 Topps Football design used on the physical side looks like it was built for Huddle. Not only that but it looks awesome in all the parallel colors. Add in that the pictures are no longer retouched at all takes this to a whole new level. 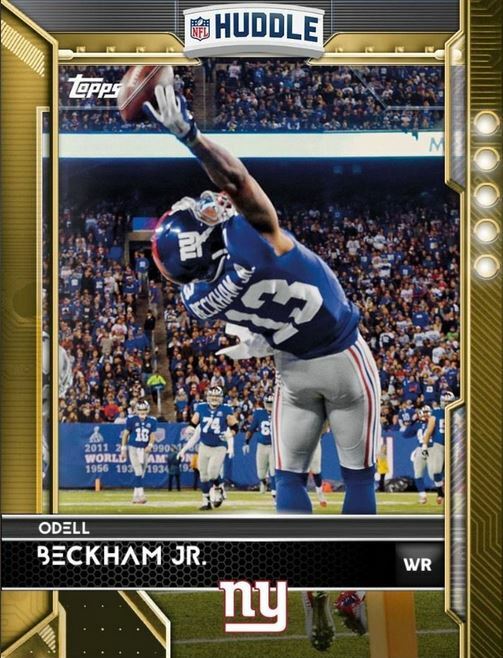 There is just no comparison when the card looks the way it does with an actual game shot. 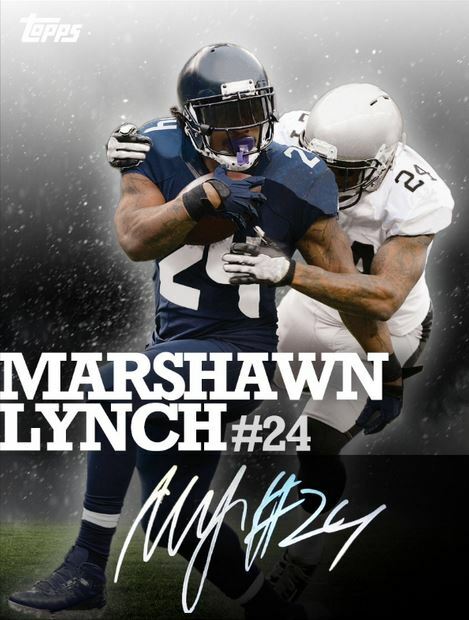 The 2015 signature series design with the action shots was a thing of beauty, even though the design highlighted how much editing had to be done to each picture. When they moved to head shots, the design no longer worked as well, because it always looked like the player was peaking over the nameplate. In 2016, the signature design is not only extremely well done, but utilizes the full license in such a dynamic fashion. 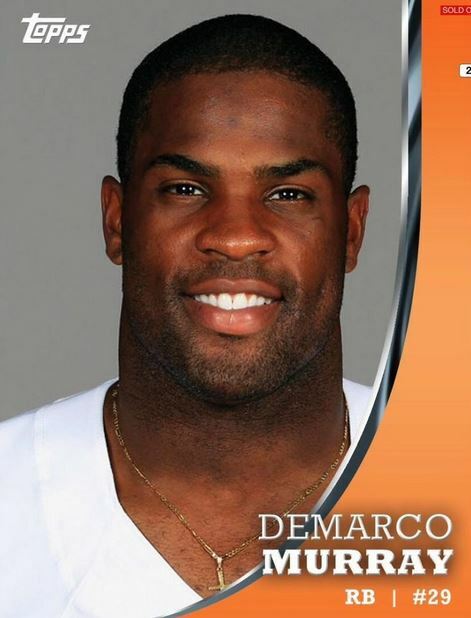 The player pic against the team logo background is really freaking cool. 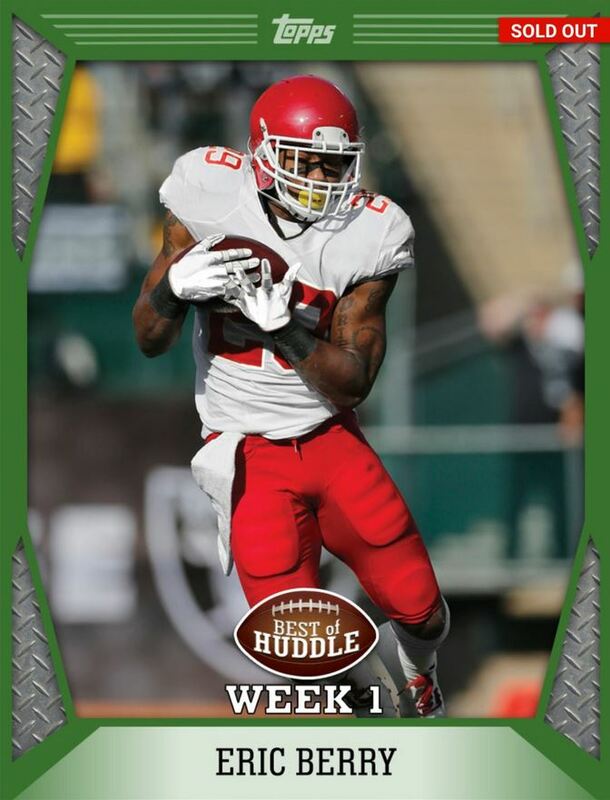 For 2015, Huddle used a retro look to the cards, which was quite interesting when they were first released. Although I understood what they were trying to do, I just didnt know how I felt about using such a simple look. When they switched to head shots, it was even worse, because the card ended up so, so plain. 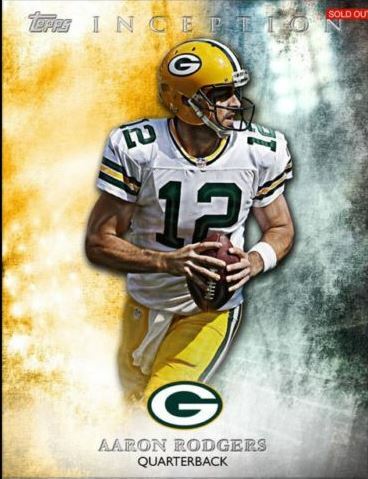 This year, they used a much more modern look, making the card look like a patch sewn onto the background like a jersey. Awesome design, especially with the expanded look at the picture’s content outside just the player. I thought the steel presentation of the BoH cards from 2015 were really cool, other than the logo and text above the nameplate. 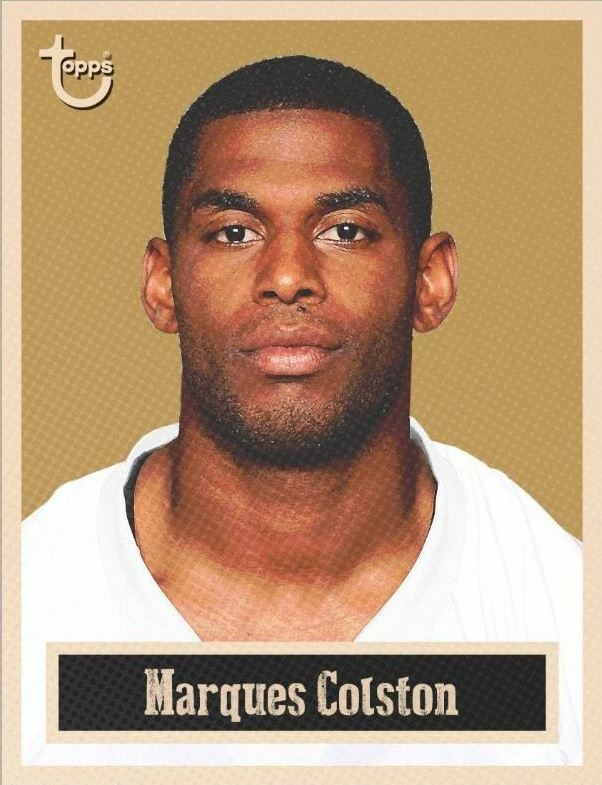 On the head shots, it looks like the football is tattooed on the player for most of the cards. 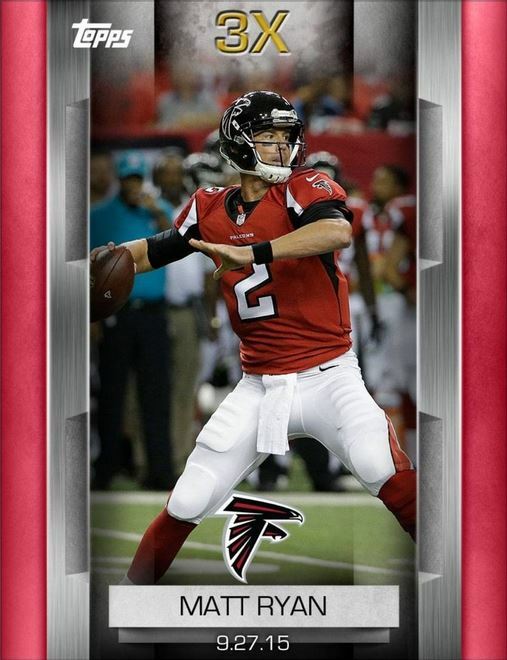 For 2016, the card is taking a simple, yet modern approach that I absolutely love. 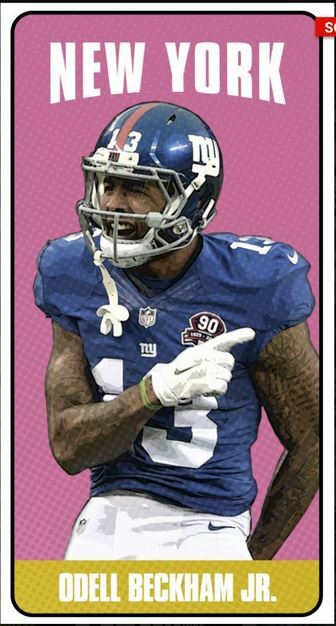 The fact that most of the pictures they used are from the current season makes these cards even more desirable. We only got one helping of game boosts with action shots last year, and they looked really, really cool. When they switched over to headshots, the cards just tended to look significantly more boring, which is unfortunate. For this year, the design is a 100% upgrade over the action shot 2015, and I like that you can tell the boost level on the front, which helps with confusion. 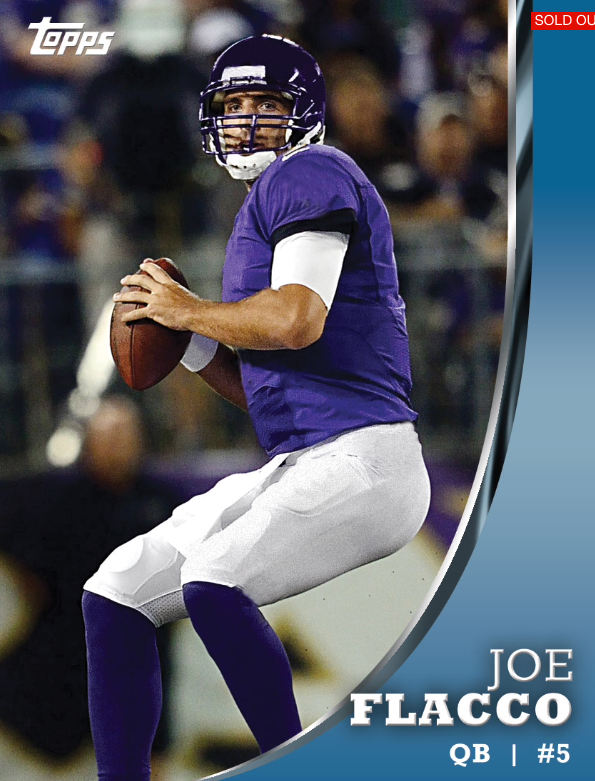 We also have a date on the front of the card, which prevents the need to use second editions. Also helps there are thousands of more pics to choose from. This was my favorite set of the year in 2015, and it is already insanely popular this year as well. 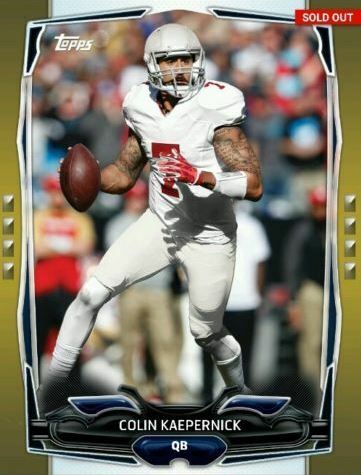 Its clear why the cards are so coveted, as the presentation of the players look better with the abstract background. The more painted presentation of 2015, combined with the EXTREME rarity, are the kicker, but man 2016 is sweet. Being that this is a retro design, there isnt much difference between the two cards, im just showing you how much difference there is between a fully licensed card and a head shot. 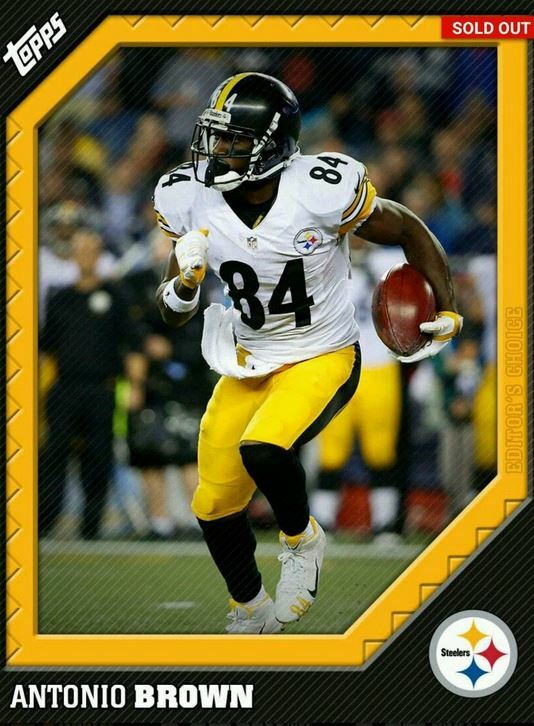 Its just nuts how much better the cards look. Although its clear that this is really a no brainer in terms of how much better the cards look with the license, I wanted to highlight just how important it really is. You can see significant upgrades over the course of the entire app, not just in the look of the cards. 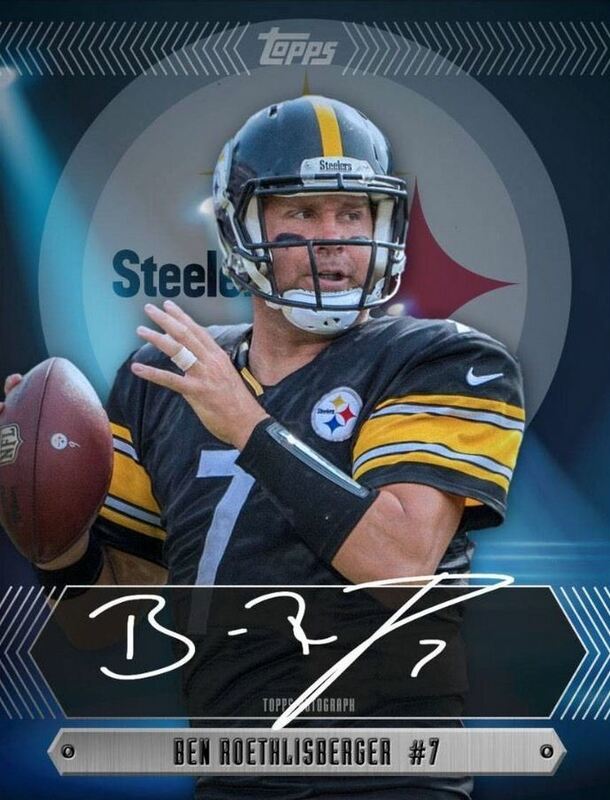 This entry was posted in Huddle Tips, Reviews and Commentary and tagged Baseball Cards, Bunt, Football Cards, Huddle, Sports Cards, Star Wars, Star Wars Card Trader, topps, Topps Bunt, Topps Huddle, Topps Star Wars. Bookmark the permalink.